Houseboat INSIDER - a NEW houseboat for Christmas? If a NEW houseboat was on your agenda, what model, size, or options would you be ordering? Would you want a fiberglass or aluminum model? What "extra equipment" would you want to have onboard? Now that we are at the end of September, I see that Columbus Day is just around the corner. I hope you all have a great Columbus Day holiday, IAN. Marinas around the World? I love hearing from readers about what you like about the area where you do your houseboating? 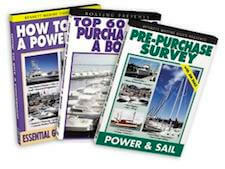 You can tell me about "where in the world you houseboat" or what you "love about your marina"?